Ready to experience the Henna by Divya magic? 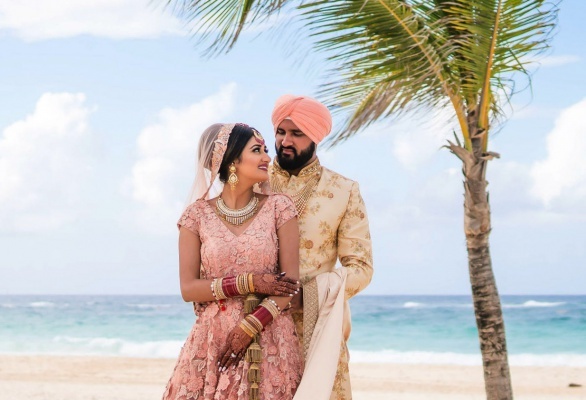 Divya has worked extensively in providing henna designs for brides and weddings, plus parties of all sizes, photo shoots, and editorial works, for both individuals and corporate organizations. Her creative and unique designs cut across modern Indo-Pak henna styles, Arabic and Moroccan styles, alongside Western tattoo style body art. Check out our various henna design services, which cut across various events and applications. Henna is one of the most important accessories of South Asian customs and weddings. 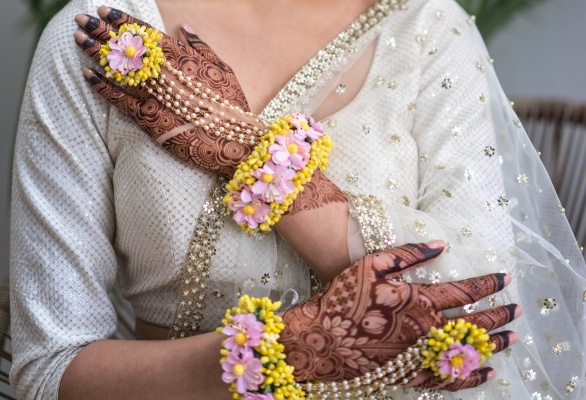 These fragrant henna designs on a woman’s hands not only enhance the bridal look but will also bring intrigue to the bride and guests of the wedding. Take advantage of our proven expertise in creating modern and traditional henna designs tailored to your preferences and which complements your special day. Destination weddings are great – the privacy, the thrills, and the surprise all make the day and the event even more special. Perhaps, you are worried about how to get your henna designs done for your destination wedding holding somewhere far away? The solution is right here at Henna by Divya. We are always ready to bring our excellent services to you anywhere in the world, on request! Individual henna services are currently not open for booking. Henna by Divya will begin booking Individual henna services starting October 2019. We appreciate your patience. Party henna services (mehendi/sangeet nights, birthday parties/other events etc.) are currently not open for booking. Henna by Divya will begin booking party henna services starting October 2019. We appreciate your patience.